On these lessons you will learn a short choreography, wiggle into the music, fly around, burn calories and enjoy a lot of fun. These classes are meant for people with problems with lumbar spine, knee joints or other limitations, that may be a restriction in other sports. Exercise is more fun then you thought! Give your loved ones a unique experience! Buy a gift voucher for one, five or ten entries, create your own package from various availible classes or give a voucher with a credit of your desired amount. More information on the Price list page. 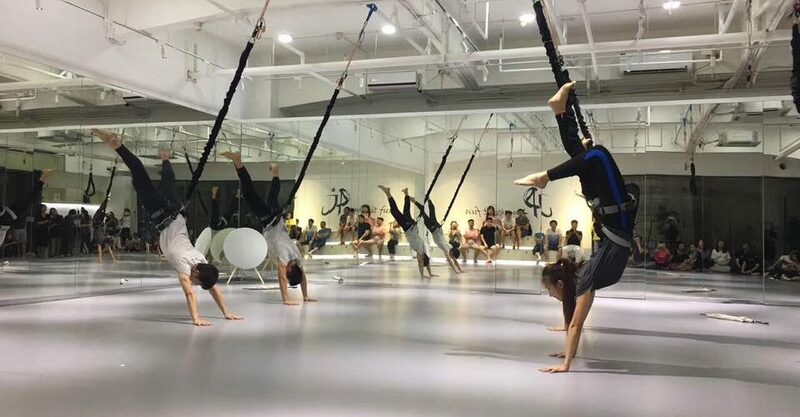 Thanks to the hanging system and suspended floor you go easy on your joints and so even people that have difficulties with other sports (especialy when caused by pain in knee joints or lumbar spine) can exercise. 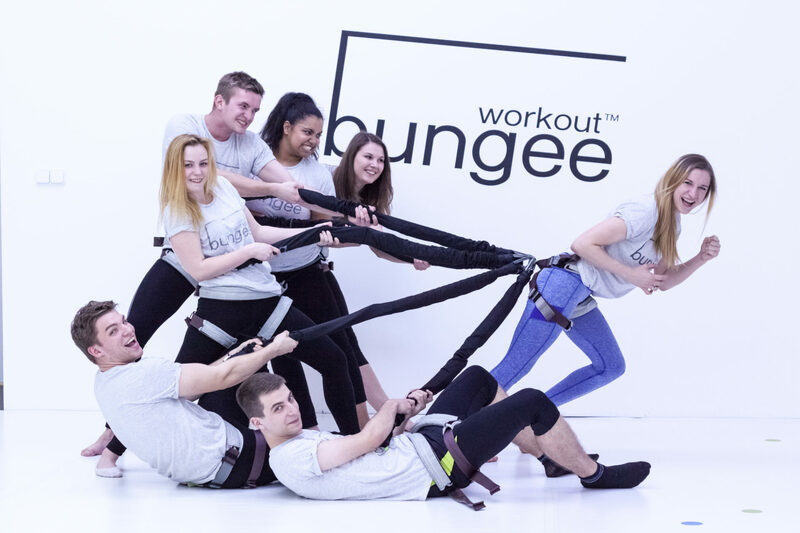 You exercise against the resistence of a flexible bungee rope, fastened around your hips, so you will burn way more calories than during other sport activities and you strengthen your core in the process. During the exercise you will get to fly and try out easiest acrobatic moves. Exercise combined with dynamic music makes workout fun!